So many unpleasant and disheartening things have been happening over the past while, I decided to think of pleasant things that made me feel good. Many years ago, I worked at Maimonides Hospital and Home for the Aged in Montreal. I wrote about it here, Miracle of Miracles. Our patients there were visited once a week by their doctor and one of the doctors was Herb Blumer. I liked Dr. Blumer so much. He was a great pleasure to work with. Years later — just a couple of years ago — I was watching the Food Network Canada and happened upon one of the strange shows hosted by Bob Blumer. His shows were The Surreal Gourmet, Glutton for Punishment and World's Weirdest Restaurants. He's a cook and cookbook author but not a chef. He's got such a sweet face, I had a hard time choosing a picture to go with this little story. I knew Bob is from Montreal and I decided to get in touch with him. I went to his website and found his contact information. This question doesn’t fit into any of your categories but I thought I’d ask anyway – just out of curiousity. I spent much of my young adulthood in Montreal — I was a nurse, trained at the Montreal General Hospital – and worked as a head nurse for a number of years at Maimonides Hospital and Home for the Aged (as it was known then). 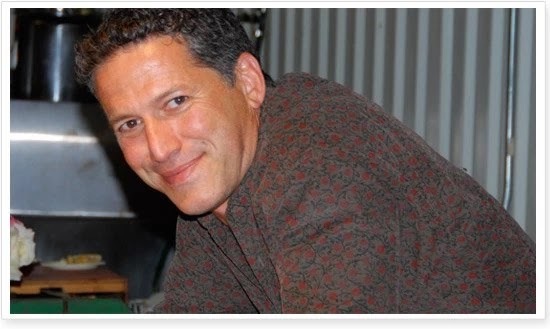 The doctor I worked with — and had such a good time knowing — was Dr. Herb Blumer. And of course, my question is: is he your father? As soon as I began to think he might be, you began to look more and more like him! It’s quite a few years ago now but I still remember how his visits to our elderly patients was a real highlight of our week. He was such fun. So. . .if he is your father, this is probably of some interest to you. If he isn’t — well, carry on. I’ll continue to watch you on television! As you see, I wrote that note at 8:30 one evening. When I came down the next morning, he had replied. It doesn't take much, does it? It was sweet of Bob to answer; so many people wouldn't have bothered. It would have been interesting if Dr. Blumer had turned out to be Bob's Dad but I did love what he wrote about his own father — so proud and loving. I'd like to see those episodes that featured his Dad. 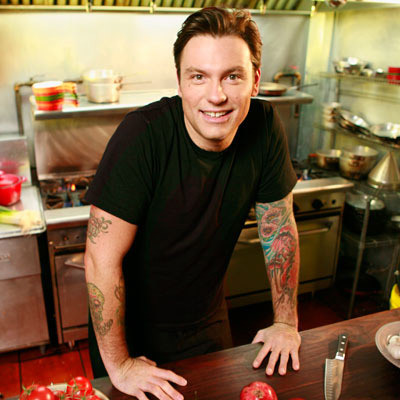 I was thinking of another Food Network Canada chef today as I made Chuck Hughes' no-knead bread. Chuck's series on the Food Network — Chuck's Day Off and Chuck's Week Off in Mexico — are both fun. He's a chef who loves food and loves to cook. His bread can be made in several variations: you can add garlic and herbs, or cheese. He also occasionally adds spices and raisins and turns it into a tea-bread. It couldn't be easier and as far as I can tell, it's pretty much fail-proof. You just mix it up, let it rise, scoop it into the bread pans, let it rise again and bake it. Beautiful. Of course, if you really need to exert some force to get rid of frustration, a no-knead recipe is not a good choice for you. But if you're feeling pretty good and you just want some nice bread right out of the oven, go ahead. Be my guest.